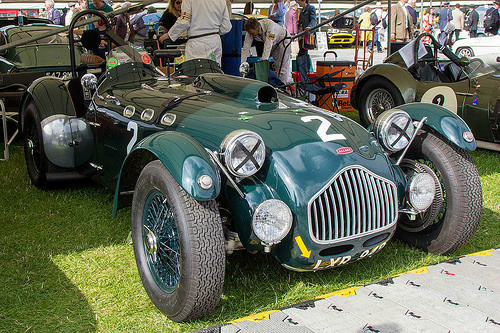 The two seater J2 sports car of 1950 was a production racer fitted with a three speed manual gearbox and, for the UK market, a 3.8 litre V8 engine that developed 85 bhp and the car had a curb weight of 940 kg. Those exported to the US were fitted, on site, with the customer's choice of engine, typically a Chrysler V8 unit. 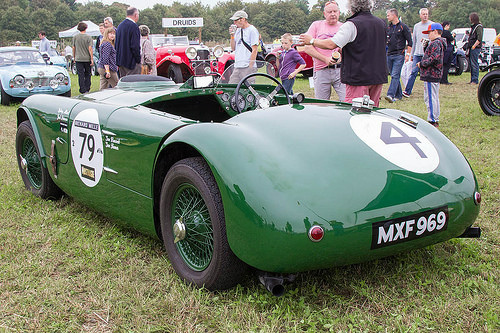 A J2, with a 331 ci Cadillac V8 engine, took third place in the 1950 Le Mans 24 Hour race. By 1951, 90 J2's had been built. In 1952, the J2 was succeeded by the J2X in which the engine was moved 7 inches further forward to provide more room in the cockpit. 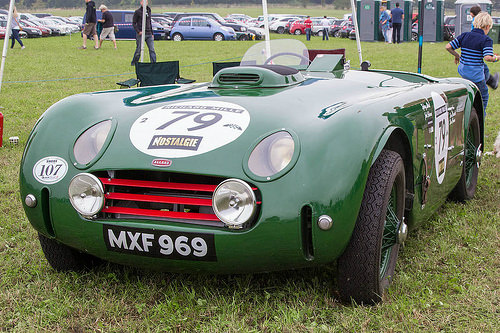 The chassis was modified for better handling, the front suspension was redesigned, large aluminium drum brakes were fitted all round, and it used aluminium body panels. Its 5.4 litre, 331 ci engine now developed 170 bhp, and gave the J2X a top speed of 112 mph, with 0-60 mph in 10 secs. The final version of the J2 was the J2X Le Mans in which the open top was replaced with an enclosed body. There were only a handful of this sports car variant built specifically for Le Mans. By 1954, 83 J2X's had been built, when production of the J2-Series ended.